Sep 05, 2016 Hi there! Thanks so much for leaving us your feedback. We are truly happy to hear that you are satisfied with your system. Enjoy your new system! I read all the negative reviews on this site back in September 2015, took them with a grain of salt, and went ahead with my purchase of LeafFilter. 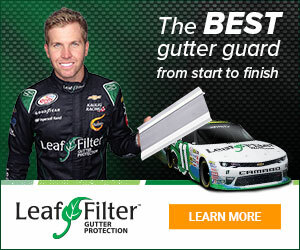 Now that my gutter problems are solved and my filters have been on the home for over 6 months, I decided to come back to this site to clarify what I've learned. If installed properly, this system works! I had two guys come install 150' on my house and they did a great job. I went outside in the last rain, and the system was allowing nothing but water into the gutters. Thank you, LeafFilter, and I'm glad I went ahead with you guys. I liked: Good customer service, Great product, Warranty. Review #793570 is a subjective opinion of User793570.